What is your maximum spend? Doula Antenatal Visits Antenatal - Belly Art Antenatal - Belly Casting Antenatal - Birth Planning Antenatal - Group Support Program Antenatal - Mother Blessings Birth Birth - Back Up Doula Birth - Rebozo/positioning techniques Birth Photography Childbirth Education Childbirth Education - Beer + Bubs Childbirth Education - Birthing From Within Childbirth Education - Calmbirth Childbirth Education - Hypnobirthing Childbirth Education - Inside Birth Childbirth Education - Lamaze Childbirth Education - Sacred Pregnancy Childbirth Education - SheBirths Postnatal Visits Postnatal - Birth Debriefing Postnatal - Breastfeeding support Postnatal - Sleep and settling support Postnatal - Overnight support Postnatal - Becoming Us Facilitator Postnatal - Infant Massage Postnatal - Belly Binding Postnatal - Placenta Encapsulation Postnatal - Birth Reclaiming Ceremony Postnatal - Closing the Bones Ceremony Massage Yoga/Pilates Is there a service that is particularly important to you? Select it here. Are you looking for someone in particular? Enter any part of their name here. Are you looking for someone in particular? Enter any part of their business name here. When I first met with Kellie, I knew immediately she was going to be the doula for me. Her eyes spoke of a calm and gentle person, and I didn’t realise how true it was until she helped attend the birth of our daughter. In the lead up to the birth Kellie provided amazing information/resources. She helped put together a birth plan which was highly valuable as it let my partner and I prepare and be able to make informed decisions if needed during labour & birth. Along the way she listened to me, she reassured me and supported me so that I could have trust in myself and my body. She was attentive and encouraging with word and action throughout the entire labour. This was the biggest help for me, through the wonderful techniques to help ease contractions, to the beautiful essential oils & essences she would offer at different stages, to the powerful words of support. Kellie definitely holds a calm, loving and positive space for your birthing journey. I cannot thank Kellie enough, she helped me welcome my baby girl with confidence and joy. I would highly highly recommend Kellie to any mumma who is looking for a beautiful support person. The statistics on the benefits of doulas really do speak for themselves. You cannot discount the value and comfort of having another woman with you that has so much wisdom and experience around birth. Someone else who knows you can do it. However, our birth story didn’t go as we had hoped and it wasn’t until this happened that we really appreciated having Cheryl with us. She was right when she said that ‘doulas are for all births.’ Whilst we had hoped for an uncomplicated vaginal birth with minimal medical intervention, the opposite happened. During my 39th week, I was diagnosed with pre-eclampsia and it progressed quite quickly. It was a disappointment and a shock, considering the fact that we’d had a textbook pregnancy up until that point. 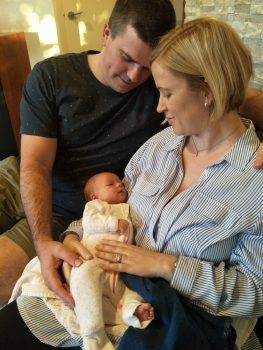 We booked an induction and suddenly had a very different birth to prepare for in a very short time. Cheryl came over to reassure us and inform us about the process of induction and what we could expect. She had an amazing ability to calm both myself and my husband and to preserve the parts of our plan that were truly important to us. On the day of our induction, I laboured for seven hours, with four contractions in 10 minutes. It was hard work, but a powerful experience that I’m proud to have attempted under those circumstances. When Cheryl spoke to my husband, she asked that my dilation check be delayed until she got there. When she arrived at 4am, it was so great to see her. She has such an aura of calm around her and incredible instincts. She was onto something because my dilation was only 2cm after 7 hours! Pretty devastating stuff, considering the power of my contractions. At this stage, we had to change tack. I was exhausted and my labour wasn’t progressing. I had an epidural and continued my labour for five more hours. Still 2cm after all that time! By this stage, we had to consider an emergency Caesarean, which is what we did. Yes, our birth was not what we had hoped, but that is okay. Cheryl prepared us well from the beginning and helped us to see what was important, which was being informed and doing all we could to have a positive birth. When our daughter, Georgie, was finally born, she was absolutely perfect and that was all that mattered in the end. Cheryl waited for us to come back from theatre, met our Georgie girl, and made sure she was feeding well. We had photos together and a debrief before she left our new family to bond. In the time that has followed, Cheryl has kept vigil with regular text messages, a home visit, a full debrief and freezer drop of the most delicious lasagna! She’s helped us to remember the importance of fourth trimester thinking, with good feeds and cuddles (and not too many visitors) for the first forty days. We’re so grateful for Cheryl’s love and wisdom and would wholeheartedly recommend her for any birthing experience you have in mind. FYI… I completed this review while breastfeeding. My favourite day of the week is when Nanny Landy comes! Nanny Landy has helped me settle in to life with a newborn and toddler. My day with Nanny Landy means I can have a day to take a back seat. Not only does she help to settle bub, but she cooks, she cleans, lets me sleep and entertains my toddler. Even on her days off she regularly checks in with me via text msg or drops by with a take away coffee. She is AMAZING!!! Even as a second time Mum I have learnt so much from her knowledge and experience. My newborn is so rested and settled after her visits (I swear she is magic!). She is extremely caring and passionate about her work and provides great emotional support. Every new Mum needs Nanny Landy!!! Krista was a fantastic support for me during the last part of my pregnancy, the birth and afterwards. She provided emotional support and reassurance that helped me feel calm and confident leading up to going to hospital. Krista is a warm, caring and knowledgeable person and I could not recommend her services highly enough. I really wanted to hire a doula for the birth of my third child because I wanted to experience a natural birth. My first birth experience was premature twins born via c-section. It was a traumatic birth and certainly not what I had envisioned. It was really important to feel in control this time around and to do that I needed to be equipped with knowledge. Trish is certainly very knowledgeable in many types of births, having experienced them herself. From the first meeting, I could see that Trish was approachable and friendly but also a straight shooter. Exactly what I was after! The meetings prior to giving birth gave me the understanding of what was to come as well as the knowledge and confidence I needed to try for a VBAC. (Especially because VBACs come with many rules and restrictions). When it came to the actual birth, Trish was there to hold my hand, offer advice, give me support and take photos of the magical birth. But it didn’t stop there. Trish stayed with us for many hours after the birth to ensure I was properly cared for by the hospital staff. She was in close contact with me over my hospital stay to make sure I was doing well. I also purchased the newborn package so Trish could visit us and help out once I was home with my three young children. It was great to have someone on hand to listen to my concerns, ease my worries and hold my baby so I could shower! She gave me some breastfeeding tips and pointed me in the right direction when we discovered my son had a tongue tie that needed correcting. Trish was always available for a chat and she was always genuinely warm and friendly. I feel like the birth of my son was highly successful and healing. A big reason for this was Trish. I would recommend a doula to anyone who is wanting to have more control over the birth of their baby. Stay tuned – testimonials are coming soon! If you would like to submit a testimonial please click the link. Julia completely transformed my experience of birth. She took me from being in a place of fear, disconnect and disempowerment… and guided me on a journey that resulted in me having a birth that was beautiful, informed, healing and, honestly, filled with magic. Julia has continued to support our family through our first month postpartum, and her presence in our lives has made our transition to a family of four, so much smoother and more enjoyable than I ever could have imagined! Not only has she given me the confidence to parent by heart, encouraging me in following my instincts and trusting in myself; but she’s given me the most incredible PRACTICAL support, that has helped in a real and tangible way. Fresh sheets, cooked meals, washing done, dishes cleaned – she’s there to provide the support at the time I’ve needed it most. My life is so much richer for having met Julia. If there’s one thing I could recommend to any pregnant woman, it would be to engage with this remarkable doula, and embrace the life-changing experience of having her support throughout your journey. I would just like to say a huge thank you to the wonderful Elle who was my Doula during my first pregnancy and birth! She is supportive, knowledgable, kind and also hilarious. 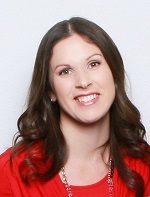 Elle went above and beyond to support my husband and I prior, during and after the birth of our first child, she provided advice, gave massages, provided moral , practical emotional support, drove us to the hospital, provided pregnancy/birthing resources and helped me be clear on exactly what I wanted and what options I had available. She is amazing and I can honestly say I wouldn’t have had such a positive experience without her. If you are thinking about getting a doula and you are lucky enough to have Elle available, then I would not look any further. I’m based in the Blue mountains with my husband and two young boys. I’ve always felt a strong desire to help people and after having my own children realised I would love to support and encourage other women on their birthing journey. I’m so excited to be in this amazing industry and hope you’ll consider me when your time comes.